Since 2011, the Austrian National Fund of the Republic of Austria for Victims of National Socialism has published the book series: “Lives Remembered. Life Stories of Victims of National Socialism”. With this, the National Fund has aimed to contribute to the collective memory of Austria and preserve these memories as a reminder and as a beacon of hope for future generations. More than 35.000 books of the first three editions were disseminated among schools all over Austria. The fourth edition of the series to be presented in Hong Kong as a premiere deals with the life stories of survivors who were exiled in Asia. The book, 800 pages long, documents 23 life stories of persons who have settled temporarily or permanently in China (Shanghai, Hong Kong, Beijing), India, Myanmar, Vietnam, Indonesia, Thailand und the Philippines. This world premiere focused on the importance of recording testimonies in general and we were honoured Dr Emilie Tran and Dr Glenn Timmermans agreed to speak on the panel alongside Hannah Lessing, Secretary General of the Austrian National Fund. 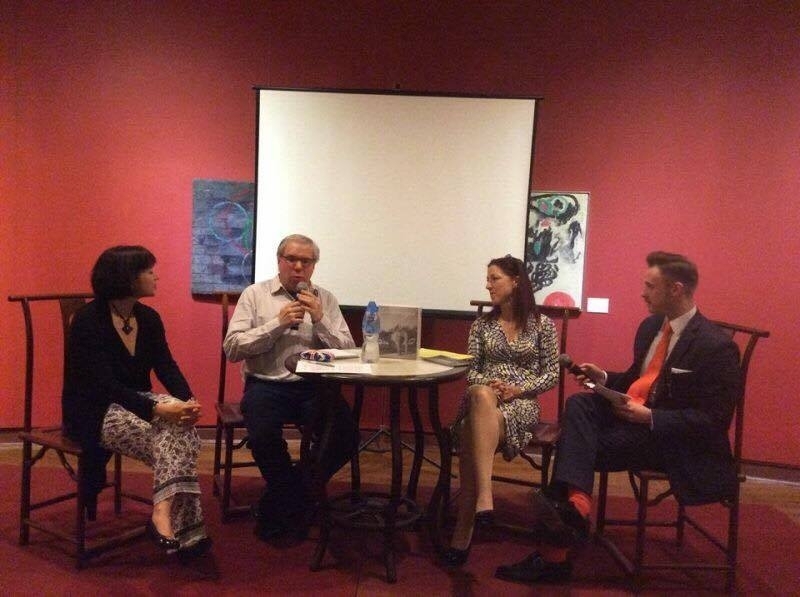 Ben Freeman, Director of Education at the Hong Kong Holocaust & Tolerance Centre moderated the panel discussion. Dr Trans fled Cambodia to France following the Cambodian genocide & Dr Timmermans is an expert on the history of anti-Semitism and the Holocaust. To learn more about the Austrian National Fund’s Life Stories series please visit this link.